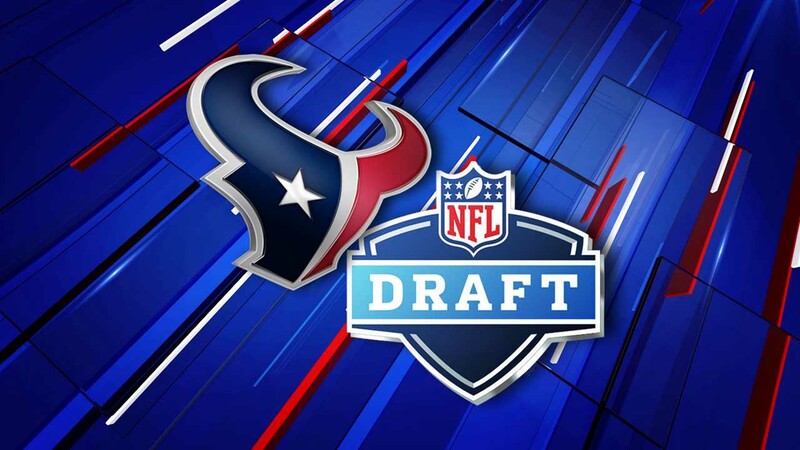 PHILADELPHIA, Pennsylvania (KTRK) -- The Houston Texans added three players to its team during the third day of the NFL Draft. During the fourth round, the Texans selected defensive tackle Carlos Watkins and offensive tackle Julie'n Davenport, the 130th and 142nd picks overall. Last season, Watkins set a single-season record for a defensive tackle at Clemson with 10.5 sacks. The team announced the pick with the help of astronauts Peggy Whitson (aboard the International Space Station) and Scott Kelly (at Space Center Houston). In the fifth round, the team picked cornerback Treston Decoud from Oregon State, the 169th overall pick. He gives the Texans some depth behind cornerback's Johnathan Joseph, Kareem Jackson and Kevin Johnson. At Oregon State, Decoud earned honorable mention All-Pac 12 honors. With the 243rd overall pick, the Texans selected Baylor center Kyle Fuller in the seventh round. On Friday, the Texans selected linebacker Zach Cunningham with the 57th overall pick during the second round of the NFL Draft. Later in the third round, the Texans selected University of Texas running back D'Onta Foreman. 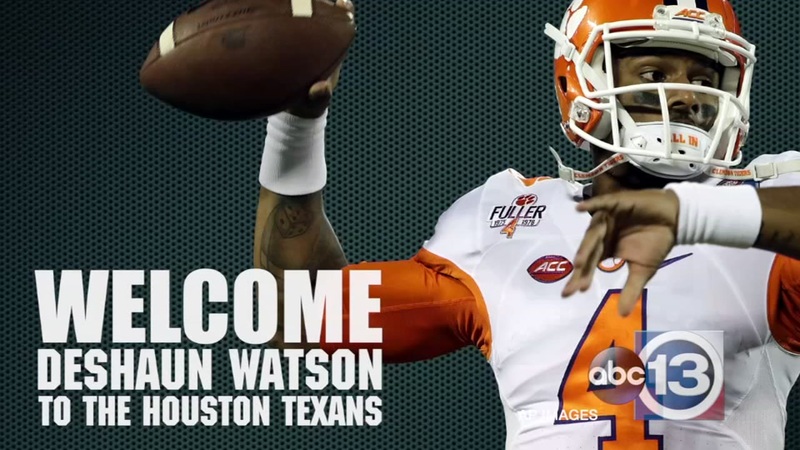 In the first round, the Texans drafted quarterback Deshaun Watson with the 12th overall pick. What you need to know about your new Houston Texans quarterback. Information from ESPN was used in this report.